Applications are now open for a program that lets people see where locally-grown food comes from. 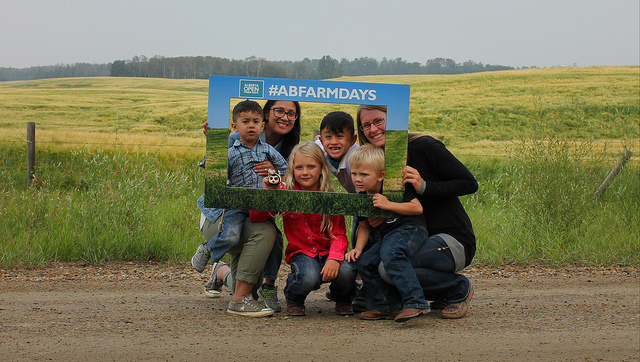 Open Farm Days has been held in August around Alberta for the last seven years. The program lets locals tour a working farm or ranch, learn more about its operations and even try some locally grown food. Many around the Lakeland stopped by the K-Cow Ranch near Elk Point last August to have a peek at their operations. Guests were also treated to a Sunday brunch featuring locally sourced meat and produce. Last year saw a record number of operations open their doors, up sixteen percent from the year prior. Alberta Minister of Agriculture and Forestry Oneil Carlier says the program is quickly becoming an ag-tourism staple around the province. The deadline for applications is May 31st. Farms can register online at the Open Farm Days website.